These days drones are buzzing, not only in the skies, but throughout the maker community! Makers’ love affair with drones is easy to understand: it has all the trademarks of the maker movement. From open source hardware, robotics (like sensors), cameras, to innovative applications to solve real-world problems, drones are fun and functional. 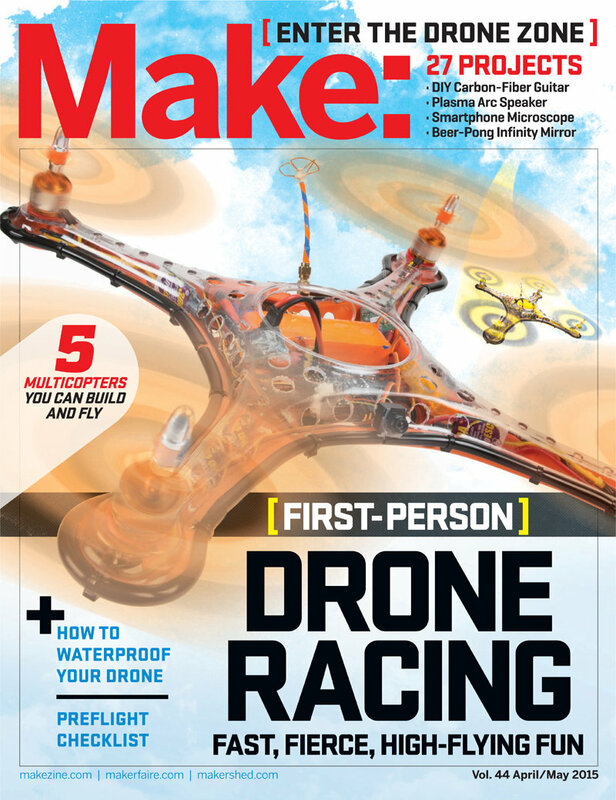 In Volume 44 of Make:, the editors dive into the red-hot world of quadcopters, with drone builds and inspired aerial activities.